With a large reserve of knowledge and skilled electrical contractors, we continuously meet the complex demands presented by the industrial sector and construction businesses. At MCE Electrical we have spent over 15 years providing electrical contracting for industrial facilities such as the food and beverage industries, that require meticulous attention with both the installation and planning to allow such complex work to be performed safely and efficiently. 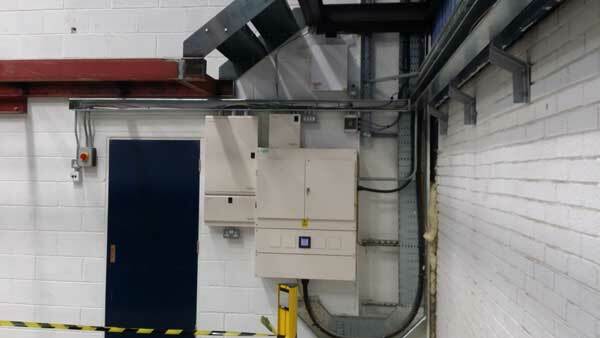 Every industrial electrical project is commissioned and strategically planned and designed in our office before any work commences on site, due to the highly complex nature of each project. Carefully planning and developing a structure that will work for each specific trade and operative environment is crucial in order for work to be completed on time and on budget. MCE Electrical’s dedicated in team of electrical contractors liaise with the client, providing initial in-depth plans which are developed into the final electrical installation. Our qualified staff rapidly install and test all electrical installations, adhering to international safety regulations. With extensive experience and knowledge across our entire team, MCE Electrical has the capability to provide the right electrical solutions to every individual job. Providing professional and reliable services to meet the needs and tight deadlines of every project.